The Land Use Chairmen and its appointed Committee members are in place to help maintain and preserve the existing character of the Meridian Kessler Neighborhood by helping to define and enforce reasonable parameters regarding the physical and architectural environment of our neighborhood. The Meridian Kessler Land Use Committee provides information and determines the appropriate course of action on land use issues in Meridian Kessler with the goal of ensuring peaceful co-existence among residents, businesses, and places of worship. When property owners or businesses want to make changes to the buildings on their property (e.g., primary structure, garage, etc.) or they want to change the zoning (e.g., change from special use to commercial use) or platting for their property (e.g. divide one lot into multiple lots), they are encouraged to discuss their plans with the MKNA Land Use Committee as early as possible. These types of changes are governed by a petition process that is administered by Indianapolis Department of Metropolitan Development (DMD). The zoning, variance, or other land use petition process begins when the petitioner files the request in the Current Planning Office in Room 1821 of the City–County Building. A number of factors can, and often do, increase the amount of time required to complete the petition process. As part of this process, Department of Metropolitan Development mails a Legal Notice to neighborhood groups and surrounding property owners. DMD planners seek neighborhood input as part of their Staff Report to the DMD Board of Zoning Appeals who votes on requests for variances. MKNA Land Use Committee helps to facilitate this process within the neighborhood. A group of resident volunteers, the committee members are individuals with experience in the fields of engineering/design, building construction, urban planning, architecture, real estate law and other related fields. Eileen Hack chairs the committee and she and other committee members volunteer their time to help maintain and preserve the existing character of the Meridian~Kessler Neighborhood. They help define and enforce, within the code and the overlay of the MK Neighborhood Plan, reasonable parameters regarding the physical and architectural environment of Meridian~Kessler neighborhoods. The committee’s goal is to provide information and to determine the appropriate course of action regarding land use issues in a manner that promotes peaceful co-existence among residents, businesses, schools and places of worship. Property owners who seek a zoning variance or change in zoning present their plans to the MKNA committee to receive recommendations prior to a Indianapolis Department of Metropolitan Development public hearing. Neighbors must have due notice so that they may make an informed decision on whether they will support the property owner’s request. Thus, petitioners must post a DMD Legal Notice of Public Hearing (an orange sign visible to the public) for 30 days prior to the hearing. If an orange sign is placed near a property, then those who may be affected by changes to that property should plan to attend the MKNA Land Use hearing. At the MKNA meeting, property owners may voice their support for or remonstrate against the petitioner’s request. The MKNA Land Use Committee makes a recommendation on each case to the MKNA Board of Directors, which votes on whether to uphold each recommendation. The recommendations are then forwarded to the DMD staff planner.  The Land Use Committee of Meridian~Kessler Neighborhood Association meets on the first Tuesday of every month to review petitions for variance of use and development standards of the Dwelling Districts Zoning Ordinance for Indianapolis. When seeking a review by the MKNA Land Use Committee, petitioners must provide MKNA with a copy of the Legal Notice of Public Hearing by the 15th of the preceding month (approximately two weeks before the regularly scheduled MKNA Land Use Committee meeting). If the MKNA meeting falls after the scheduled DMD scheduled hearing date, MKNA will file a request for automatic continuance for the public hearing. This means Indianapolis Board of Zoning Appeals will postpone their hearing for four weeks.